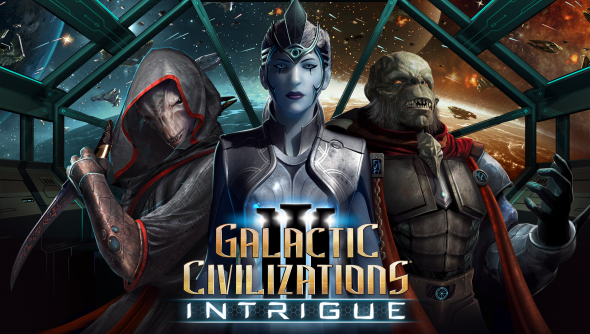 Galactic Civilisation’s next expansion introduces brand new governing obstacles as well as a whole host of new technologies, weapons and planetary improvements. Players will have more options than ever to conquer enemy empires. While waiting for the expansion’s release, prepare yourself with some of the best strategy games out there. Intrigue allows players to pick and benefit from the governing style of their choosing and will (hopefully) complement their playstyle – be it a civil democracy or a monarchy ruled by the will of one person. Your civilization’s species, tech and ideology will affect what government options you have to choose from, so these decisions have even more weight. For any political fanatics out there, Intrigue looks like it’ll be delving into the more juicy aspects of governing. You’ll have the opportunity to run elections, appoint your own cabinet and even grant worlds their independence. As well as a governing body and your new shiny death toys you will also gain access to the Galactic News Network, which will help you keep up to date with any in-game major events. Much more importantly, however, is the brand new Galactic Market, which means if it was too much of a hassle before, you no longer have to bother trading with rival civilizations. The only friend you’ll need now is the free market. The Intrigue expansion is scheduled for release Spring 2018.